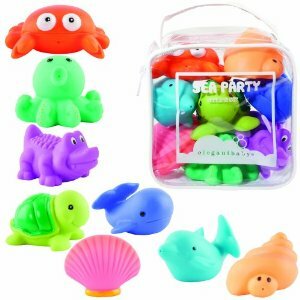 This is the summary of consumer reviews for KidCo Bath Toy Organizer Storage Basket. The BoolPool rating for this product is Excellent, with 4.50 stars, and the price range is $10.39-$16.99. The KidCo Bath Toy Organizer Storage Basket is a great bath toy organizer that adjusts from 16"-25 1/4"L to fit different size bathtubs perfectly. 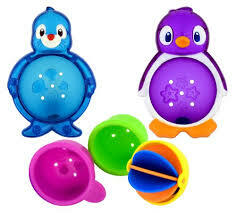 It holds a lot of toys and bath items effectively in the tub and drains water well, thanks to its vented design. 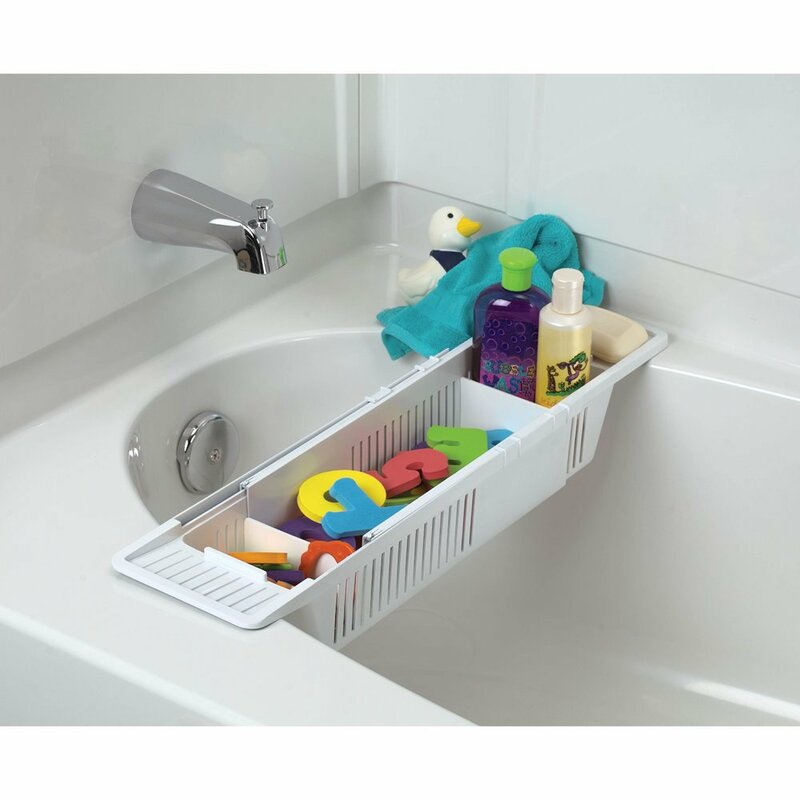 With two divider panels for easy organization this bath caddy lets you separate toys and toiletries. This basket is sturdy and made from easy to clean mold resistant material. However, some user reviews complain that sometimes, the hanging edges may slip off the tub surface. 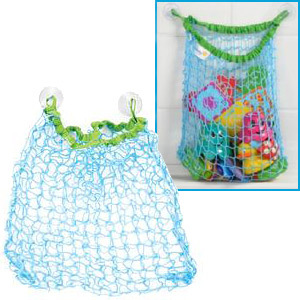 Overall, the KidCo Bath Toy Organizer Storage Basket is a clever, simple and practical item for organizing bath toys and accessories. It is highly recommended and liked by users. It can hold up to 10 lbs. of toys and keep them neat and within reach. Really does fit any size tub. Fits well in our tub, holds a good amount of toys and has been very useful. Fits the tub perfectly and has enough space for all of our bath toys. It's light and fits any tub. Easy to adjust, fits well, very sturdy. It fits perfectly on my tub which is a standard size. 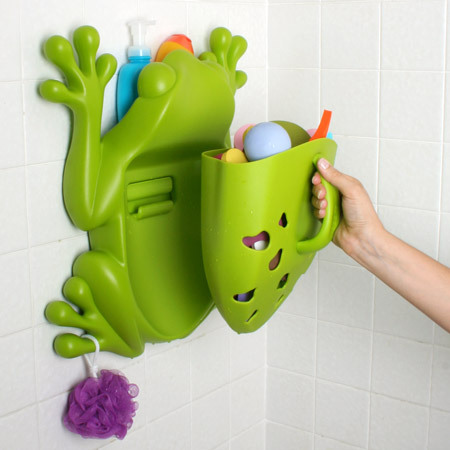 It fits in probably any size tub and is a way better alternative to the suction cup toy bags...which don't even work. Near as I can tell this'll fit almost any type of tub since it's so adjustable (we've a tub/shower combination and it fits perfect). You can really fit a lot of things in this expandable tub caddy. I was happy that it fit my oversized tub. It adjust to my bathtub size and holds a great amount of toys. It drains the water well so toys don't get moldy. When I put wet toys into it, I don't have to worry about the toys accumulating mold from moisture. I put all my son's bath toys in it and at the end of bath time he helps me put the toys away, thus my bathtub is clear of toys in the morning when I've to take a shower. Easy to toss toys in after the bath. The basket and toys in it get mold very quickly and must be cleaned regulary. This was the perfect solution to our bath toys being all over. I'd recommend to anyone who's children with bath toys. It does hold a lot of toys than I expected. Works well and keeps the bath tub tidy, great buy. 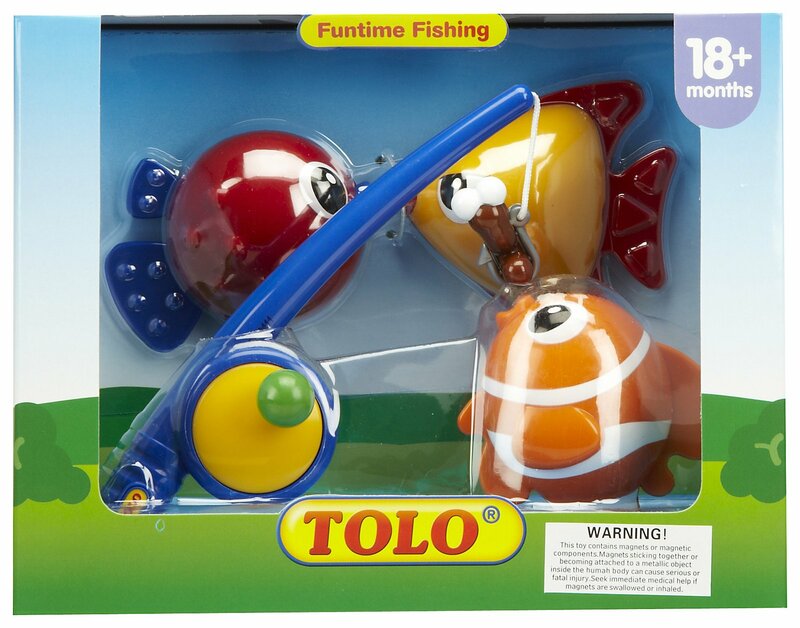 This was a gift for my grandson's tub toys and it works perfectly...adjusts to their tub width and is sturdy. I wasn't sure if this'd work well with the angled walls and curved edges of a clawfoot tub, but it does! Fit our standard sized tub with no issues. We also keep baby shampoo, bubbles, etc in her and it works well for what's already a crowded tub. Sit in the tub so kid has an easy access and drips the water straight into the tub - easy to wash off. Also, since it sets in the tub, we save on having to clean water up off the floor...no more soaked towels next to the tub. 2) the hanging edges would slip off the tub surface. It just lifts right out though, and it still works on the floor next to the tub. When I first got this, I was worried it wouldn't work in our tub. Sits well at the back of the tub and works better than suction cups. I tried a number of different toy nets and scoops that hung or suction cupped to the walls and none worked well; they either fell off the wall and collapsed into the tub or didn't really dry the toys. The vents allow toys to drip dry. 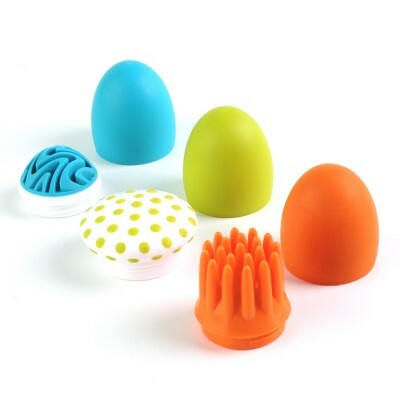 It holds a deceptively large amount of bath toys and has great drainage to help the toys drain well to not get gross. we got this for our granddaughter to help get all of her bath toys out of the tub which is working for us. 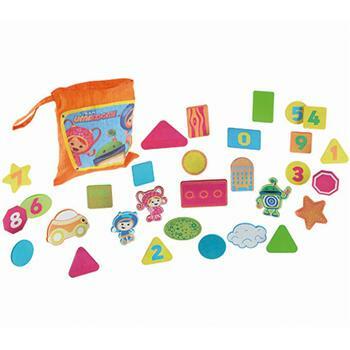 Allows toys to dry to avoid mold. Some reviews say it isn't sturdy, but mine is sturdy enough to hold a bunch of toys, a full bottle of conditioner, and a bottle of kids soap and shampoo. This's a practical organizer that doesn't take up the whole bathtub or slide off the wall as a result of suction cups that don't work. I also dont have to worry about suction cups letting go of the wall because we've textured walls in our shower.